Piles of waste near your home quickly become an eye sore and can even be hazardous to health, depending upon the waste types. If you don’t use skip bins for your residential cleanups, taking away the heap of waste from your property for disposal can be tedious, time-consuming, and expensive. To solve your household garbage problem, look for a company that offers fast and cheap rubbish removal Sydney services. The companies that rent skip bins, deliver them to your door, and place them at your desired location. 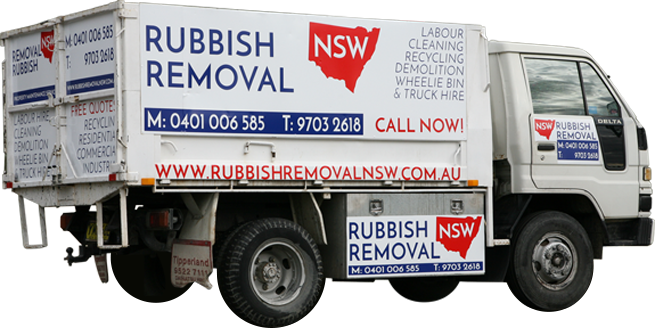 There are several skip bin companies that provide cheap rubbish removal Sydney services throughout Australia and work effectively to remove garbage from all types of locations, including residential, commercial, rental properties and deceased estates, without hitting your wallet hard. Just because these companies are offering incredibly cheap rubbish removal Sydney services, it doesn’t mean that your cleanup project quality will be compromised. Evidently, skip bins are a convenient, worry-free, and cost-effective waste disposal solution. However, in order to enjoy the hassle-free skip bin hire services, you must know how best to use them. The bins must not be filled above the rim. Do not allow waste materials to protrude outside of the container under any circumstance as this will create health and safety hazards. The overfull bins will not be collected from the site and a daily fee will be applied until the overload is rectified. It is also possible that the team will remove the overloaded items and/or charge an extra amount for the excess content. Skip bins are usually placed outside of a private property on a street side but if instructed to place the bin in private property premises, the company will take no responsibility for any kind of damage to the property. The skip bins must not be re-positioned. The new location where you move it may not be appropriate for garbage truck to pick it up. Moreover, the customer will be liable for any damage to the skip bin that occurs during the term of hire. Asbestos, paint, petrol, oils, vehicle batteries, tires must not be kept inside the bins. Also, fire must not be made inside the garbage bin. The skip bin pick up/drop off services may not always be available on weekends and public holidays, so make sure you order your replacement garbage container keeping these days into consideration. To know more about this newer trend in waste management and cheap rubbish removal Sydney services, contact (02) 8095 7197. Our vehicles and trained rubbish removal specialists can keep you in compliance with city ordinances and neighborhood laws without you having to worry about it. We can take care of your residential rubbish for a low cost, and make your life as a renter, homeowner, or landlord easier today. Cheapest and Fastest rubbish removal service in Sydney! Call us now whether for free advice or for a no-obligation free quotation: We have the right solution for your cleaning, maintenance and restoration needs.